A capacitor is an electrical component used to store electrical charge. Practical uses of capacitors include smoothing out unwanted variations in voltage and as timing control units in timing circuits. Capacitors consist of two conducting metal plates, separated by an insulating material called a dielectric. When a capacitor is connected to a battery, one plate loses electrons to the battery while the other plate attracts electrons from the battery. This results in a potential difference across the capacitor. Where $C$ is the capacitance in farads ($F$), $Q$ is the charge in coulombs ($C$), and $V$ is the voltage in volts ($V$). Where $Q$ is the charge in coulombs ($C$) at time $t$, and $RC$ is the time constant. The graph below shows the change in charge over time during the discharge. Where $R$ is the resistance of the circuit in ohms ($\Omega$) and $C$ is the capacitance in farads ($F$). In circuit design, in order to increase the discharge time the resistance or capacitance could be increased. 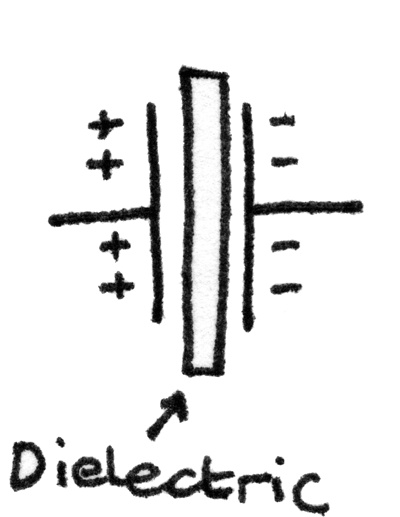 When a capacitor is connected to a battery, the charge in the capacitor increases until the pd across the capacitor is equal to the source pd. The graph below shows the change in charge over time. As the current is the change in charge over time, the gradient on this graph is the current. 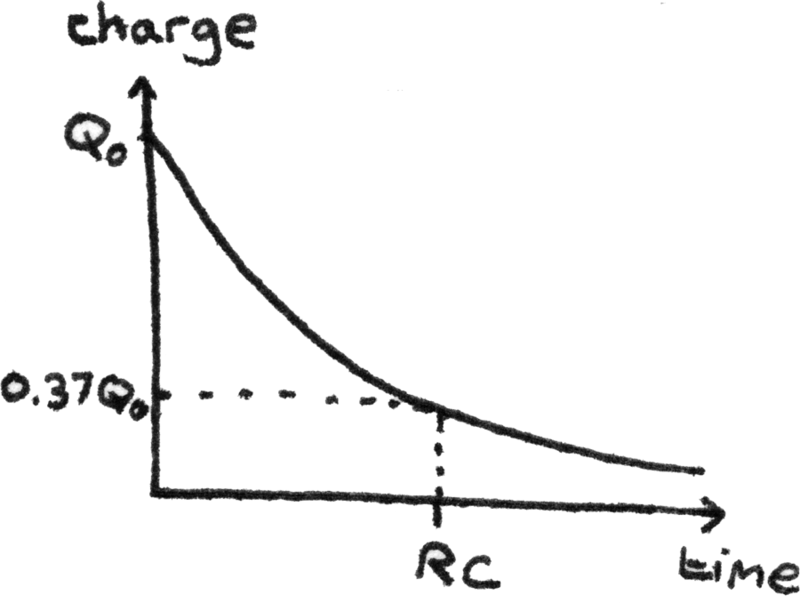 This means that as the charge stored increases, the current decreases. 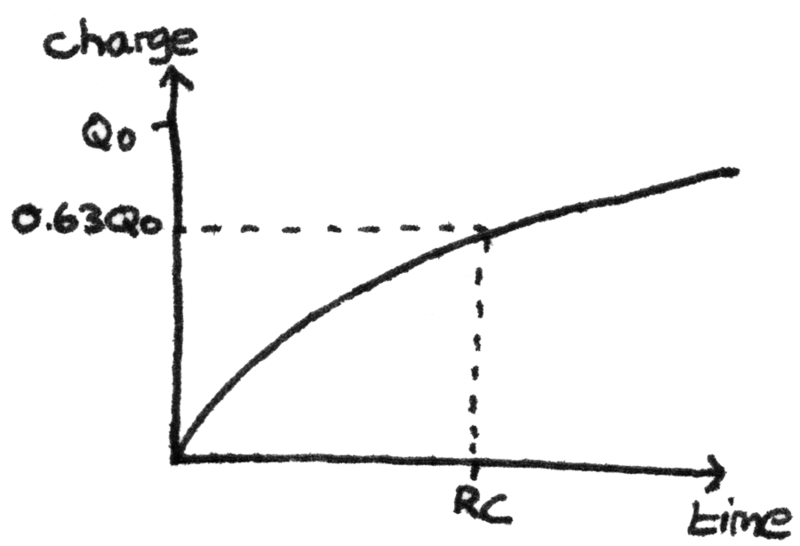 The time constant, $RC$ in charging a capacitor is the time taken for the charge to reach $63\%$ of its final charge.